What is the difference between the Na’ale program and Anières? To put it simply, Anières is ‘Na’ale plus’ and is open only to gifted teenagers who meet its specific criteria. Anières takes the basic Na’ale program – free education, board and lodging in Israel and adds on a free university degree in science or engineering. What is included in the Anières Elite Academy entrance exam? The exam explores the candidate’s scientific orientation, with emphasis on quantitative thinking, technological and analytical skills, understanding and execution of the test. There is no need to prepare for the entrance exam. What personal belongings should students bring at the beginning of the year? The WIZO Nahalal Youth Village provides every student with the necessary textbooks and notebooks at the beginning of the year. Does the youth village have an accessible medical service? There is a nurse on the youth village grounds every day. Doctors of all professions including dentists will be available and are covered by the Na’ale medical insurance. Should I bring my medical records? Yes, any and all medical records should be brought. Yes, you will receive t-shirts and sweatshirts with the Nahalal Wizo youth village’s logo. How many students live in one dorm room? Up to three students live in a dorm room. Do the Anières Elite Academy students live together? All of the students in each class live together in the same residential building, so that they will feel at home. Does the WIZO Nahalal Youth Village have students who are not affiliated with the Anières Elite Academy? Yes. In addition to the Anières Elite Academy, the WIZO Nahalal Youth Village runs additional programs, such as the Academy for Outstanding Youth in Sports, and the school is a regional one, attracting students from nearby villages and towns. Are there joint classes with students from Nahalal High School or do the Anières Elite Academy students study separately? In ninth grade, most of the classes take place within the framework of homeroom classes, with the exception of sports and English classes, which are taught in joint classes with Nahalal students. In the tenth grade, studies in English and mathematics are mixed, with student distribution according to the number of study units. How is the school day set up? The school day varies from class to class and an organized daily schedule is sent at the beginning of every school year. Does the program include afternoon activities? Are there enhanced curriculum lessons in the afternoon? Enhanced curriculum lessons are held at the Youth Village Learning Center throughout the week. Classes are held in small study groups and, if necessary, individually. In which language do the students learn? On the whole the studies are in Hebrew, but as students come from overseas learn the Hebrew language at the 9th grade, we make sure that the mathematics teachers Speak English and Russian. Are there classes on Fridays? School classes are not held on Fridays. When do the students begin weekend breaks? Weekend breaks from the WIZO Nahalal Youth Village begin on Thursdays around 4:00 PM. Shuttles run from the boarding school to the central bus stations in Afula and Haifa. Students return from breaks on Saturday evening in accordance with Sabbath hours. Shuttles from the central bus stations in Afula and Haifa return the students to the WIZO Nahalal Youth Village. Are there activities on Sabbath and holidays? On Saturdays and holidays, activities are held under the supervision of weekend counselors, but religious students are not obligated to take part. In addition, observant students will be given the opportunity to spend the weekend with their host families or relatives for Sabbath observance. Will an observant student feel comfortable living at the WIZO Nahalal Youth Village? The village has an active synagogue, kosher food and a Sabbath Eve service every week. 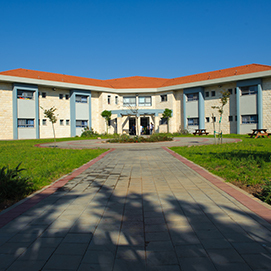 At the same time, the WIZO Nahalal Youth Village is not of a religious nature. Male and female students live and study in the same buildings. Are observant students given enough time for prayers? The schedule at the beginning of each day enables time for prayer and personal organization up to the hour set for breakfast. Are there religious host families for observant students? Any religious student who wishes to be hosted outside the youth village for Sabbath will be matched with an observant family. Alternatively, the student is allowed to stay with relatives. How is a host family matched to a student? Matching host families with students is carried out in a detailed process regulated by a social worker, a coordinator from the Na’aleh program, and the educational staff. In the initial meetings, the host family picks the student up from the village. The educational staff monitors the adjustment process throughout the year. Are the students allowed to leave the boarding school grounds? Yes, with their counselors permission and only at times when there aren’t any official activities. How are parents updated on student achievement? Each parent receives a user name and password for the Mashov website, a site that updates all the student’s academic performance and achievements. A monthly letter is also sent to the parents describing the experiences and activities of the current month. In addition, parents are always welcome to contact the class teachers in order to consult or share their thoughts with them. Yes, we welcome all parents to come and visit, we do advise that theses visits take place during the holidays only, in order not to disrupt the students’ studies. All we ask that all visits are coordinated with the group’s counselors. What happens after high school graduation? Full military service followed by studies at the Technion, subject to compliance with the admission requirements. 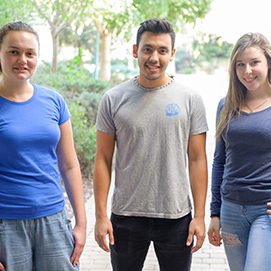 Studies at the Technion as part of the Atuda (Reserve) academic study track – a joint program of the IDF and the Technion, subject to compliance with the admission requirements. What happens if a student wishes to return home after high school? The Na’aleh program ends at the end of 12th grade, and anyone who so desires can return to their family without any obligation on their part.